Posing for HSM 1. A bit more grown up for the sequel. The Disney Channel will pair the two smash movies up on Friday, Dec. 28th, beginning with the original at 5 p.m. (central) and then the sequel at 7 p.m. Lyrics to all songs in both movies will be on-screen so that any kid who somehow doesn't already know them by heart can still feel like part of the clique. HSM2 had owned the all-time cable record of 17.2 million viewers for its August premiere until ESPN's New England Patriots-Baltimore Ravens Monday Night Football game snapped it with 17.5 million viewers on Dec. 3rd. But Disney contends that HSM and its cousin respectively have been seen by 250 million and 147 million viewers around the world. So there. Adam Levin, a 29-year-old shark fisherman who lost his home in Hurricane Wilma. He's since relocated to Bedford. Toni Oppliger, a 46-year-old power-lifting champ from Carrollton who's also the show's oldest contender. She otherwise teaches high school. Bonnie Blanco, 25, of Arlington. She's a Marine sergeant and mother of two who's survived a tour of duty in Iraq. As previously posted, Dallas native Gina "Crush" Carano, daughter of former Cowboys backup QB Glenn Carano, is one of the dozen Gladiators. ***Not that anybody would be too broken up by its cancellation. But CBS emphatically announces that its annual People Choice Awards will air as scheduled on Jan. 8th with or without the cooperation of nominees and striking writers. "The People's Choice tradition on CBS will continue and we plan to introduce some new ideas in the process," the network says. 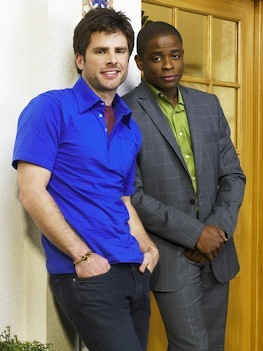 Planning well in advance in the event of a prolonged writers' strike, NBC says it will import repeats of Psych and Monk to its Sunday night schedule sometime this March. Both shows are from the USA cable network, owned by NBC Universal. Now they're suddenly a "great fit with NBC's current programming and brand," says Peacock entertainment co-chairman Ben Silverman. CBS also has indicated an interest in airing edited repeats of corporate cousin Showtime's Dexter and The Tudors. But there's been no official announcement yet. ***The new and novel HBO series In Treatment will premiere on Jan. 28th in a serial soap format. Half-hour episodes are set for Monday through Friday at 8:30 p.m. (central) for the show's entire nine-week run. 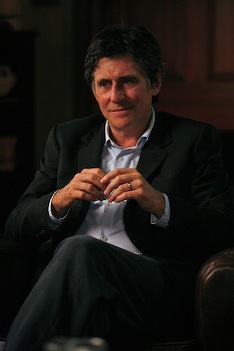 In Treatment stars Gabriel Byrne as tattered psychotherapist Paul Weston, with Dianne Wiest and Blair Underwood among the series' co-stars. HBO says that each of Weston's patients will have or his or her own weekly session. Tuesdays, for instance, are "Alex's Nights," with Underwood playing a troubled Iraq war veteran. ***ABC's Jimmy Kimmel Live will return to the air writer-less on Jan. 2nd, joining NBC's Tonight Show with Jay Leno and Late Night with Conan O'Brien on that same date. "Though it makes me sick to do so without my writers, there are more than a hundred people whose financial well-being depends on our show," Kimmel said in a statement. "It is time to go back to work." David Letterman reportedly is still trying to work out a waiver agreement with the striking Writers Guild of America that would enable him to resume work with a writing staff on board. ***The MySpace series quarterlife will join the NBC broadcast network's main stage on Monday, Feb 18th with weekly episodes at 8 p.m. (central). Centering on "six creative people in their 20s," it's from thirtysomething creators Ed Zwick and Marshall Herskovitz, who also co-produced My So-Called Life. Webisodes of quarterlife, running at 8 to 10 minutes, have been premiering twice weekly on MySpace before moving to quarterlife.com the next day. NBC plans to stitch them into one-hour episodes. ***Baseball vagabond Pete Rose not surprisingly has a few things to say about the Mitchell Report on the game's alleged steroid users. He'll say them during Wednesday's edition of Sports Unfiltered with Dennis Miller (9 p.m. central on Versus cable). "Your juices were always flowing. Thank God they didn't have steroids back then," Miller tells Rose. "I would have got 5,000 hits," he replies. Rose also says, "I've been suspended 18 years for betting on my own team to win . . . I was wrong . . . But these guys today, if the allegations are true, they're making a mockery of the game." 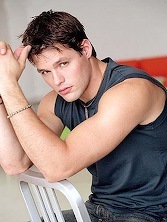 Muscle car and driver: Justin Bruening will pilot KITT in NBC remake. 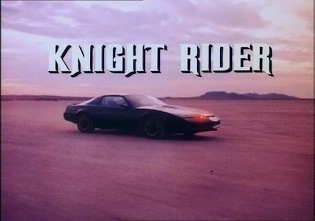 NBC's two-hour Knight Rider "movie event" will premiere on Sunday, Feb. 17, the network says. Soap hunk Justin Bruening (All My Children) takes over the wheel from original star David Hasselhoff, who will have a cameo. ***Fox's seventh season of American Idol again will have an Idol Gives Back charity component. A two-hour special is planned for April 9th after last year's event raised $75 million. Idol returns on Jan. 15th after auditioning hopefuls in seven cities, including Dallas. ***Even a strike-pocked season hasn't stopped ABC from canceling the new drama series Big Shots. Its three remaining un-aired episodes will gather dust until being included as "lost" hours in the inevitable DVD "Complete Series" package. ABC will fill BS's Thursday, 9 p.m. (central) slot with various repeats. ***For the first time ever, network television's semi-annual "press tour" has been canceled. January's scheduled event in Los Angeles, in which midseason programming is showcased for the Television Critics Association, will be a no-show whether the writers' strike is settled or not. "I apologize for this frustrating process, as well as its resolution," TCA president Dave Walker of the New Orleans Times-Picayune said in an email to members. 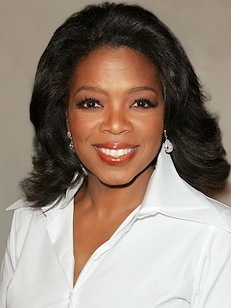 The late Roger King believed in Oprah Winfrey when many didn't. 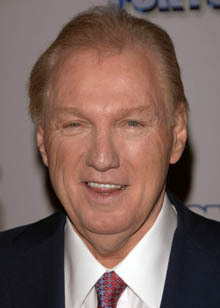 Roger King, kingpin of TV syndication and true believer in Oprah Winfrey, died of a stroke over the weekend at age 63. King, his brother, Michael, and their King World Productions, packaged and distributed The Oprah Winfrey Show as well as Wheel of Fortune, Jeopardy! and Dr. Phil. The late King had been CEO of CBS Television Distribution after the brothers sold King World to CBS in 1999. CBS Corp. president Leslie Moonves called King a "truly original executive with an unparalleled combination of business acumen, passion and personality." 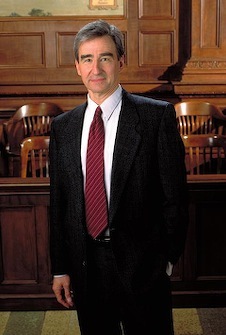 King World was founded by Roger and Michael's father, Charles King, in 1964. ****It's beginning to look a lot like the writers' strike won't be settled before Christmas or any time soon after that. Talks between the Writers Guild of America and the Alliance of Motion Picture and Television Producers broke off acrimoniously Friday. The AMPTP then accused the Guild of a "negotiating strategy that seems designed to delay or derail talks . . . Under no circumstances will we knowingly participate in the destruction of this business." The Guild blamed AMPTP for breaking off talks, and said, "We remain ready and willing to negotiate, no matter how intransigent our bargaining partners are, because the stakes are simply too high." Mostly at issue are revenues for "new media," primarily the Internet. Networks increasingly are replaying series episodes in their entirety on their web sites, and writers want a piece of the profits. CBS, NBC and Fox already have announced revised schedules for early next year (see previous Bulletin Boards) that include an early return of Big Brother on CBS and a new version of American Gladiators on NBC. ABC has yet to announce its midseason plans. The stockpile of new episodes for ongoing scripted series is nearing depletion on all four networks. ***New episodes of NBC's Medium, originally set for Sundays, will now close out the network's Monday midseason schedule. The Patricia Arquette psychic drama returns to the Peacock on Monday, Jan. 7 at 9 p.m. (central). Jan. 6 -- Deal or No Deal, followed by a two-hour sneak-preview of American Gladiators, which then moves to Monday's lead-off slot. Jan. 27 -- The Guinness Book of World Records -- Live! Last spring NBC told advertisers that its post-football Sunday lineup would be Dateline NBC, Law & Order (moved to Wednesdays, starting Jan. 2), Medium and Lipstick Jungle (moved to Thursdays, starting Feb. 7). Absent new shows for the foreseeable future, Saturday Night Live will resurrect its past by taking over half of NBC's Saturday prime-time schedule this month. 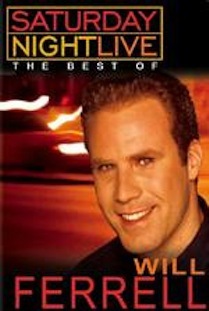 The 90-minute reprises start on Dec. 8th with The Best of Will Ferrell (8:30 to 10 p.m. central). 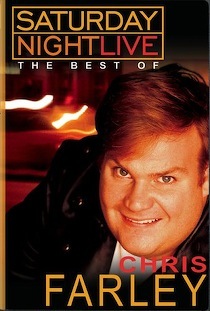 Following Saturdays will bring The Best of Chris Farley (Dec. 15), The Best of 2006-07 (Dec. 22) and Saturday Night Live Goes commercial (Dec. 29). 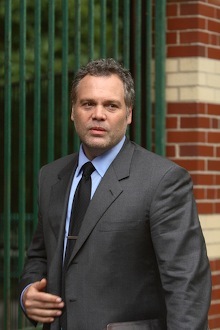 ***The fifth and final season of HBO's The Wire will begin on Jan. 6th (8 p.m. central). HBO says the concluding 10 episodes will spotlight the media's role in "addressing -- or failing to address -- the fundamental political, economic and social realities depicted over the course of the series." Series creator David Simon is a former reporter for The Baltimore Sun.